As a dentist, we focus on giving you the best healthcare advice that is available. For our practice, that means approaching your dental health with a holistic and preventative bend. We know that if we can help you to maintain your teeth in a strong and healthy manner, the better the chances that you will not have need of additional emergency procedures. 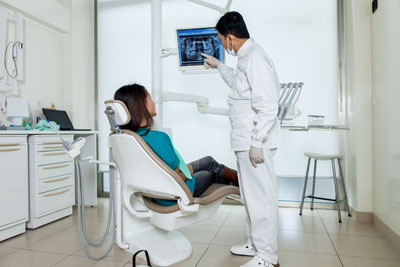 Of course, when you come in to see us and have a very specific problem, like a cavity that needs filling, we are going to make sure that we take care of that issue first and then work with you to greatly reduce the chances of it reoccurring. In a sense, we are your best source of information and want to provide you with more advice on our blog as well. There are a million sources of information online. The vast majority of people would prefer to Google their questions than to pick up the phone and call a specialist. So from car washes to teeth cleaning, literally millions of people get their information online. The challenge with this is that dentistry is a medical science and it is crucial to make sure that one gets all information from a reputable source. The bottom line is this, no website knows a patient's personal history as we do. Thus, the best place to get information on teeth is a dentist from Somerset Family Dentistry. Most dentist visits, believe it or not, are very routine. We deal with a handful of very common issues virtually every day, and while there are times when we have a unique case, it is very rare. Most of our patients are coming in for braces, teeth cleaning, and because they have a toothache or cavity. The most common reasons why people head to the dentist, and this is advisable, is because they have a toothache. If a patient has a persistent toothache or one that comes back repeatedly, then he or she needs an examination. It is, however, important to note that toothaches or cavities are very common. So common in fact, that both rank second, only to the common cold, in the number of productive days that they claim from the workforce. The second most common reason people come to see the dentist is that they have a cavity that needs filling. A cavity forms by the acidic secretions of the bacteria that live in the mouth and colonizes on the teeth. Normally, this bacteria is perfectly harmless, as long as the patient keeps the population down with good oral hygiene. Good oral hygiene includes cleaning the teeth twice a day and visiting our dentist office at least two times per year for a professional cleaning. When you neglect to do these, the bacteria can build up, forming a thin film of plaque on the teeth. Eventually, the acids that these bacteria secrete will cause a small hole, or cavity, to appear in your teeth. We can treat this right away so that your health can be restored.